As manufacturer of continuous forms laser printer we like to be where our customers are. Therefore you do find us regulary on exhibitions, meetings and events. Talk with us and experience first hand the latest innovations from the world of fanfold laser printers. PSi Laser GmbH, a leading word-wide operating manufacturer of continuous forms laser printers, today announced a new product targeted for the MICR (magnetic ink character recognition) printing market. The printer PP 3034MICR offers the latest state-of-the-art MICR toner technology with 600 dpi print resolution. Millions of checks, coupons and similar documents are still being printed every day and used as a means of payment in many countries around the world. Thanks to the MICR technology used, documents are particularly well secured against counterfeiting and fraud. 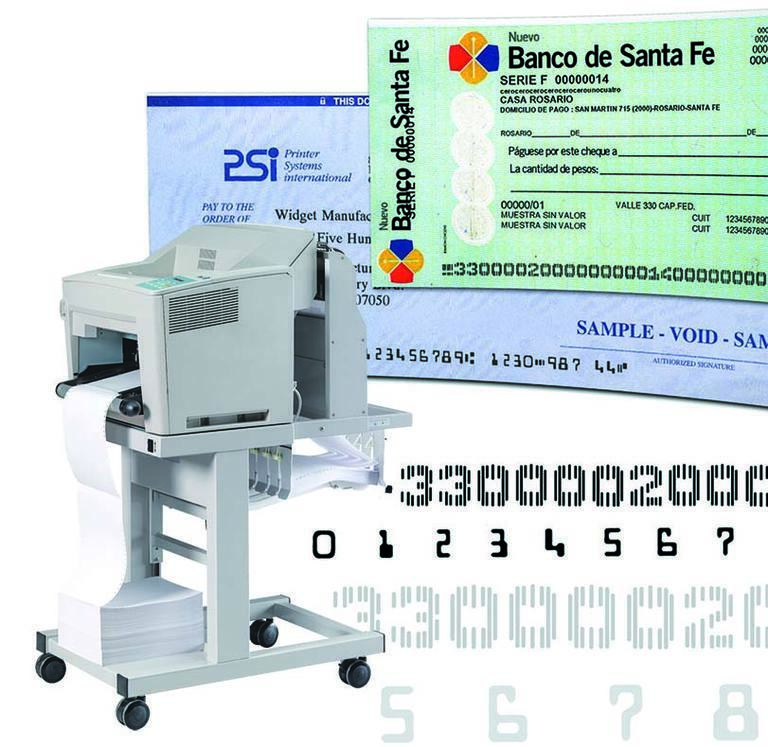 The new compact and affordable PP 3034MICR printer is ideal for quickly printing checks, coupons and other documents that require the printing of MICR coding lines. PSi is thus adding another product to its continuous laser printer family to print MICR coding lines.Together with the PP 4060MICR, PSi Laser now has two products that can serve this market in particular. The printer PP 3034MICR excels in high printing speed, superior print quality, compact design and cheap printing costs and is best suited for safety-relevant applications.